The purpose of this organization shall be to promote the welfare of the schools within the Kinnikinnick School District and the students therein, to bring into closer relation the parents and the school, and to support the activities and programs of the school through financial and/or voluntary support. The Roscoe Parent Teacher Organization was founded in September, 1979 in Roscoe, Illinois as a registered 501(c)(3) non-profit organization. 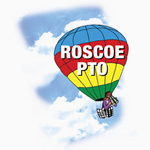 The Roscoe PTO serves the four schools within Kinnikinnick Community Consolidated School District #131: Ledgewood School, Stone Creek School, Kinnikinnick School, and Roscoe Middle School. Community Building: Bringing together parents, teachers, and students alike in support of our schools; engaging local businesses with our District; and helping to develop new relationships within our community. Fundraising: Providing the schools with much needed funding to support the education of our children. Volunteer Organizing: Filling volunteer needs by matching resources with opportunity. No portion of this website may be reproduced in any form, or by any means, without prior written permission from the Roscoe PTO. All effort has been made to provide accurate information on this website. All programs, products, services, dates and/or times listed herein are subject to change at any time and without any notice. Access to and use of password protected and/or secure areas of the website is restricted to authorized users only.